Comic books and graphic novels, known collectively as "graphica," have long been popular with teenagers and adults. Recently graphica has grown in popularity with younger readers as well, motivating and engaging some of our most reluctant readers, who often shun traditional texts. While some teachers have become curious about graphica's potential, many are confused by the overwhelming number of new titles and series, in both fiction and nonfiction, and are unsure of its suitability and function in their classrooms. Drawing on his own success using graphica with elementary students, literacy coach Terry Thompson introduces reading teachers to this popular medium and suggests sources of appropriate graphica for the classroom and for particular students. Taking cues from research that supports the use of graphica with students, Terry shows how this exciting medium fits into the literacy framework and correlates with best practices in comprehension, vocabulary, and fluency instruction. 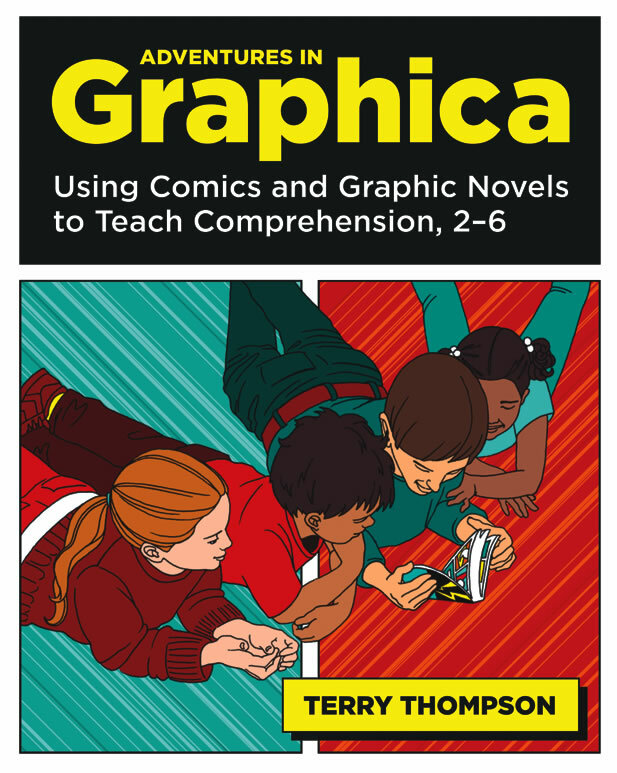 Adventures in Graphica contains numerous easy-to-replicate instructional strategies, including examples of how graphic texts can be used to create a bridge as students transfer abstract comprehension strategies learned through comics and graphic novels to traditional texts. Adventures in Graphica provides a roadmap for teachers to the medium that the New York Times recently hailed as possibly "the next new literary form." Terry Thompson cracks open the amazing world of graphic reading and reveals the endless possibilities for teaching with graphica. He sees the inherent motivational value in comics, explains the many different graphic genres, and shares thoughtful and compelling ways to teach comprehension, vocabulary, and even fluency with graphica. Terry likes to help people. That's why he became a teacher, a consultant, and a psychotherapist. "I'm a helper. It's what I do, and it's the core of my personality. It makes sense, then, that I would gravitate toward a career that would allow me to help others. Chapter 1: You Got Comics? Written with wisdom and clarity, this book shows how this exciting new literacy tool can engage your readers and breathe new energy into the classroom. This book is by far the most comprehensive book for classroom teachers on the topic of graphica. Terry Thompson helps us think through ways to use comics and graphic novels with our students to support all areas of reading development.